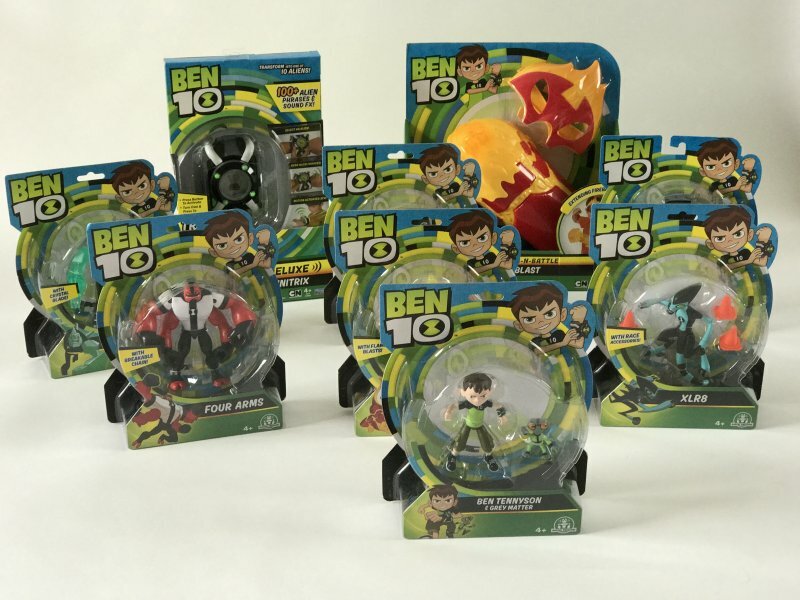 To celebrate the new range of Ben10 Toy range from Flair we are having a Twitter Party. 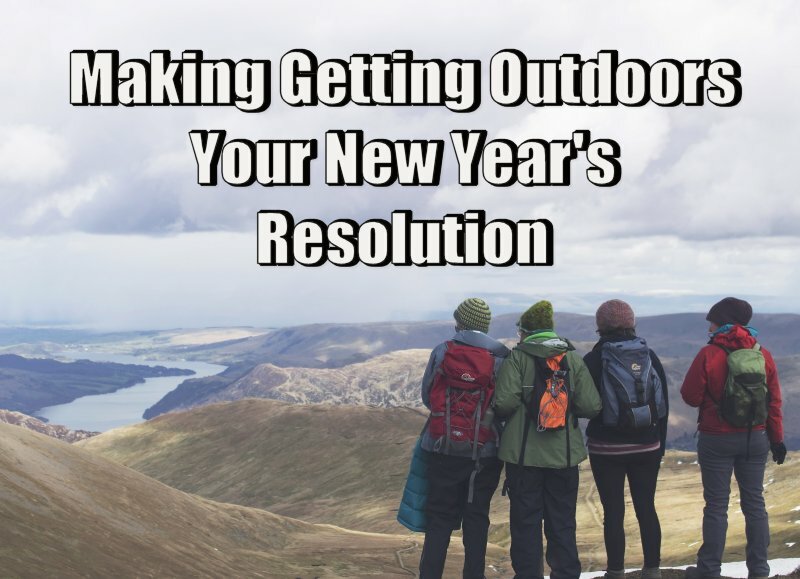 You can join in on Thursday between 1-3pm. 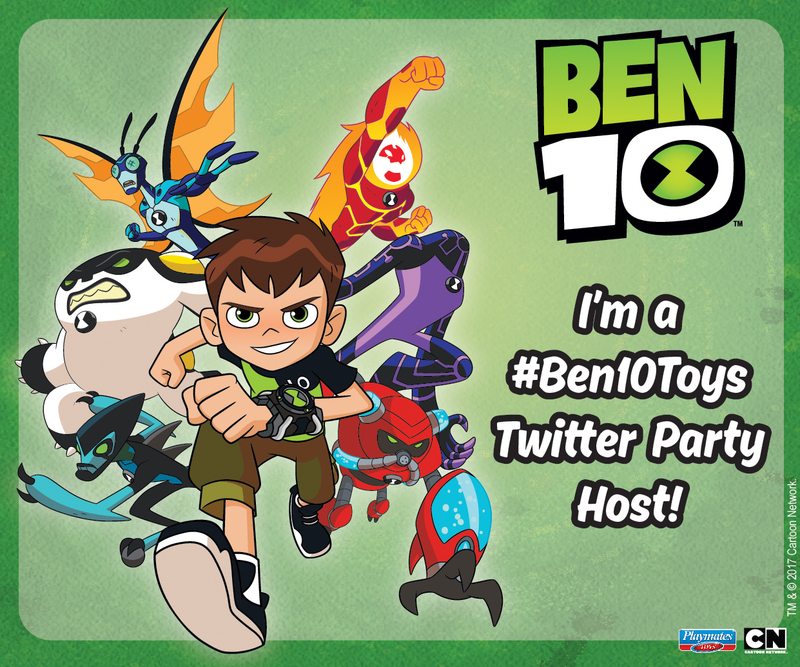 There’s going to be on the spot competitions where you can join in following #Ben10Toys. 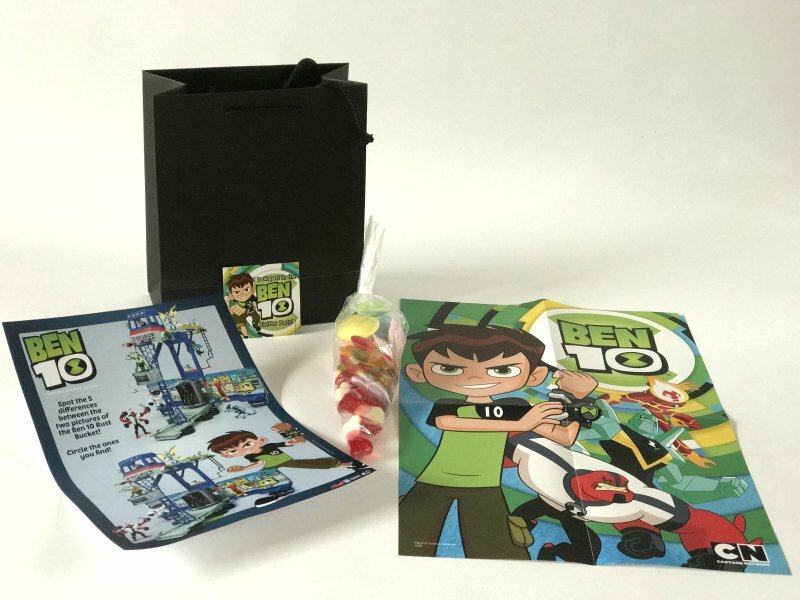 Party guests will get free play to become familiar with the new Ben10 Range, play a treasure hunt, colouring in, Ben10 Alien game and Ben10 Character Quiz before leaving with a goody bag. 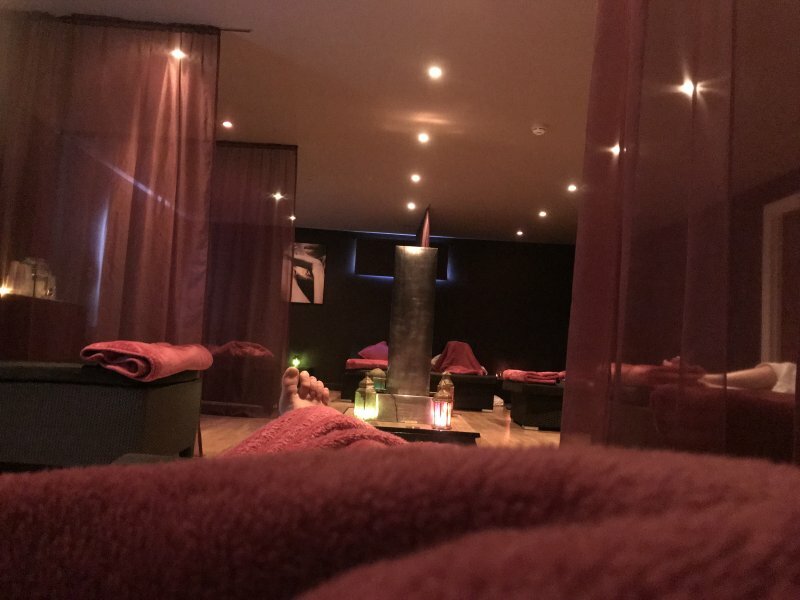 I am going to let you in on what times things are going to happen – so you can plan to have a party of your own! 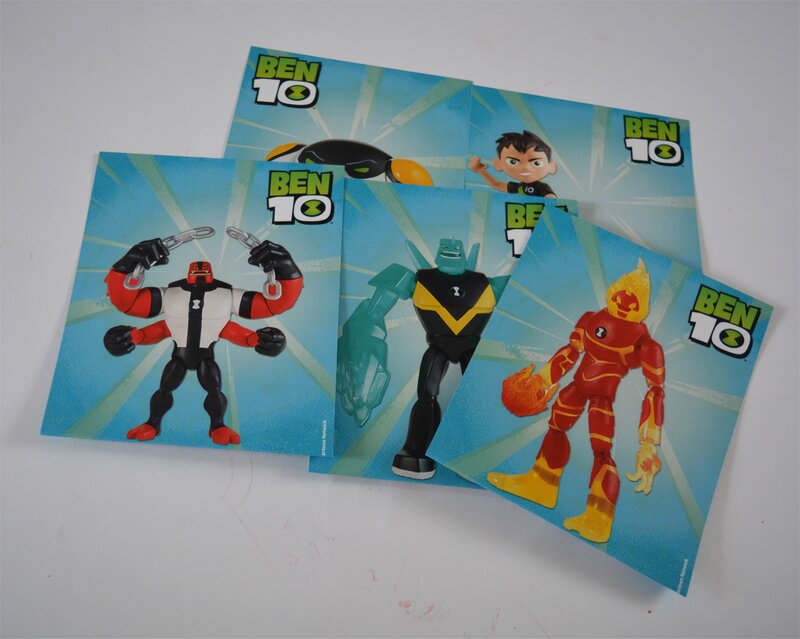 The children have the delight to come straight into the party to be introduced to the new range of Ben10 Toys. They are then given plenty of time to play with them before moving on to the next activity. There are 13 Ben10 Character packs to collect: Heatblast, Diamondhead, Four Arms, Ben10 & Grey Matter, Cannonbolt, XLR8, Hex, Steam Smythe, Upgrade, Dr.Anime, Wildvine, Overflow and Stinkfly. 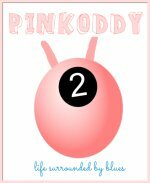 Each one is suitable for those ages four and over and they are the perfect size for little hands. Each character is so detailed and recognisable – along with their weapons and accessories. 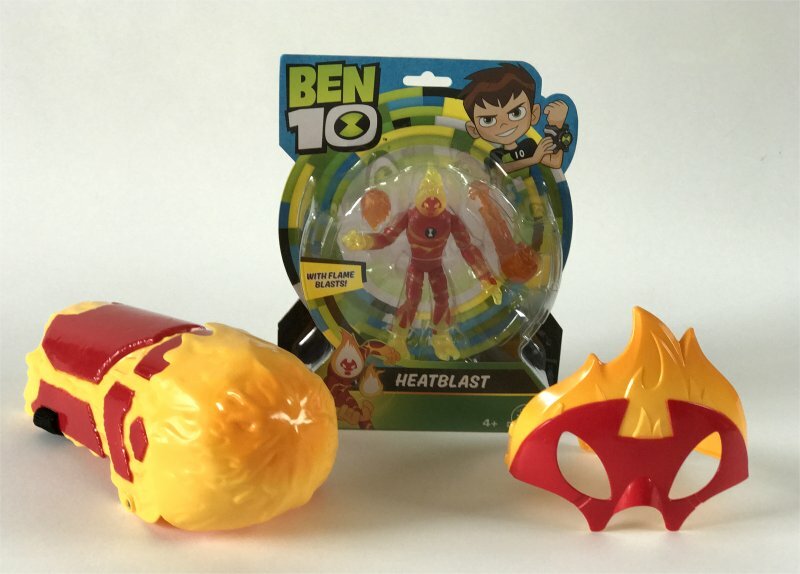 Also available are Ben10 Role Play toys – we have the Ben10 Transform-N-Battle Heatblast. Now it isn’t just Ben10 who can transform. The set comes with a Heatblast mask and extending fireball to make the bad guys feel the heat! I can assure you that this face mask fits a range of ages – it isn’t just the little ones who can have fun! This game involves hiding Ben10 Numbered Character Cards around the house. 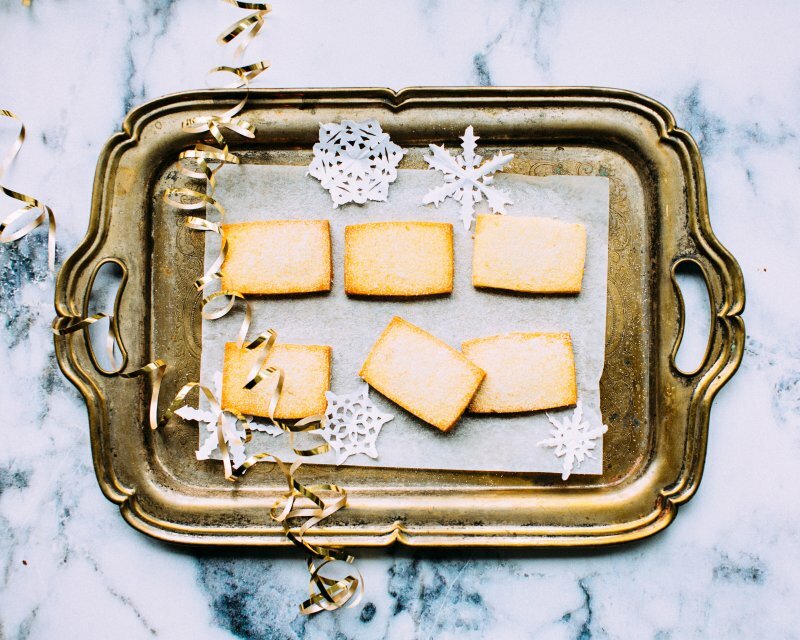 Once hidden the children will receive clues to help them find them. 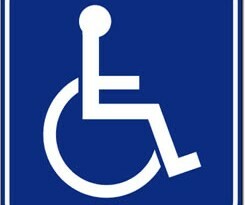 If you want to join in why not character your own cards by printing off and hiding Ben10 Characters around your house. Or even you could use Ben10 toys to hide! 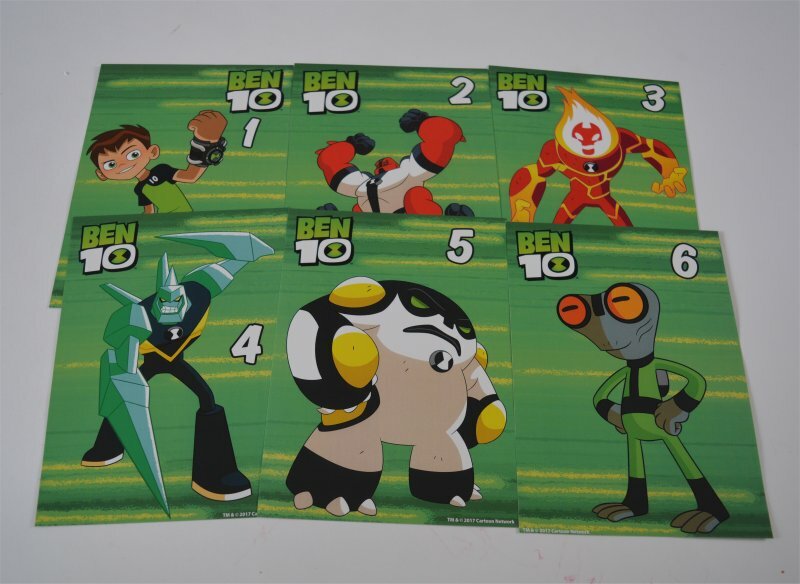 You will notice that all the characters on the cards each have their own corresponding Ben10 Toy too! 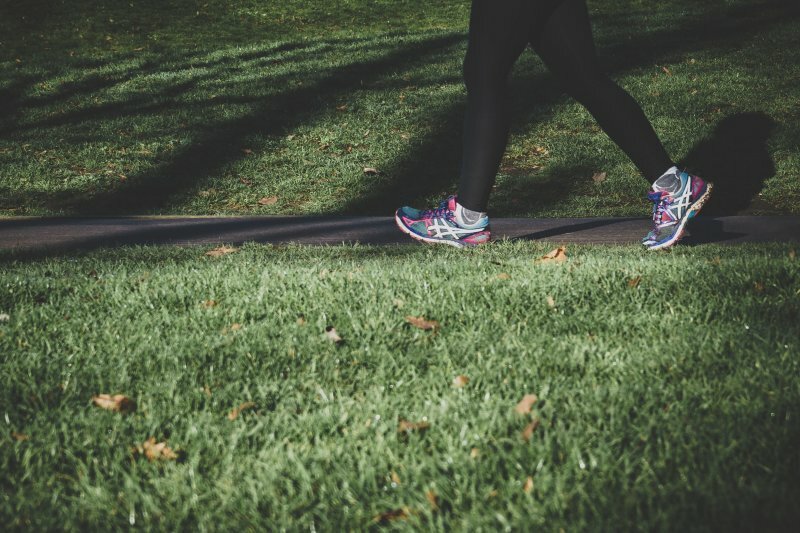 This will start depending on the time that the treasure hunt finishes. 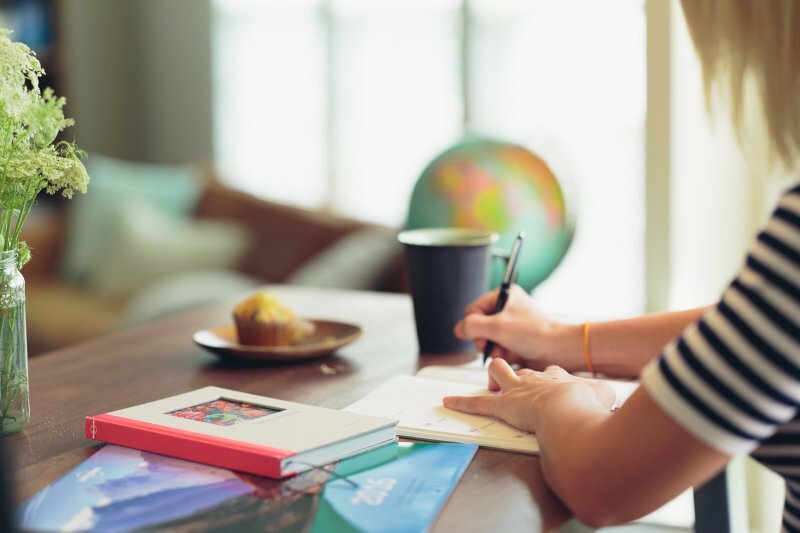 It is an opportunity for the children to settle back down and do some colouring in of Ben10 Characters and have a bite to eat and a drink. 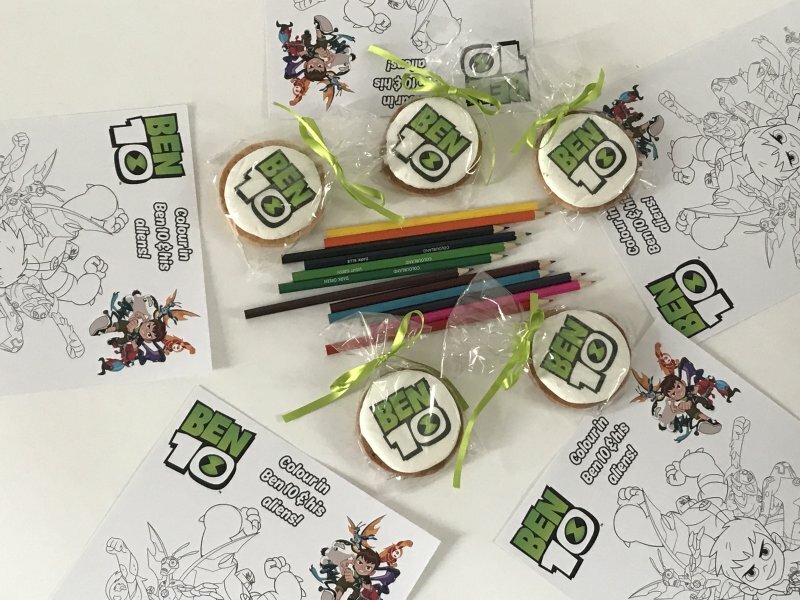 Why not create your own Ben10 themed food such as these great Ben10 biscuits! 2:10-2:30pm Which Ben10 Alien are you? 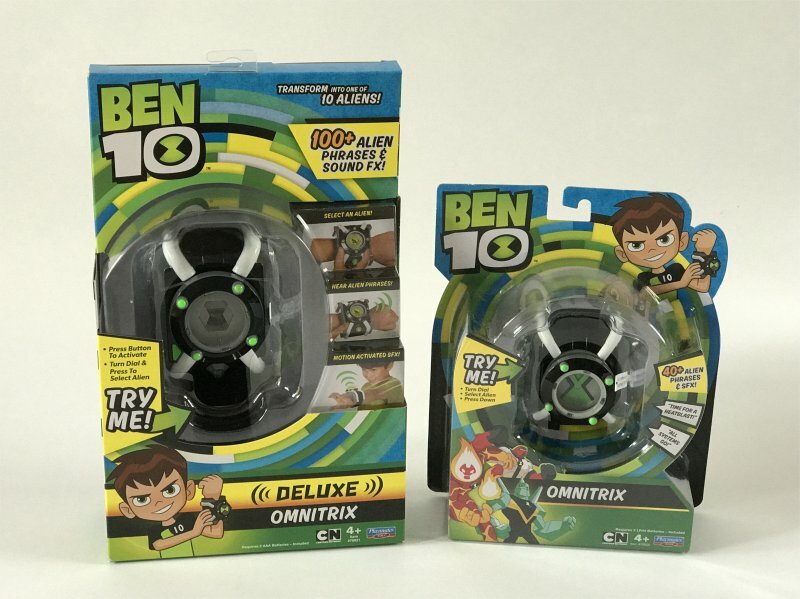 For this game the children will need to use an Alien Dial (which is a circle of Ben10 characters with an arrow attached with a butterfly pin) the children sit in a circle, wearing the Omnitrix, taking it in turns to spin to discover which Alien they are! Children then are each presented with their own Ben10 certificate. The Basic Omnitrix works by turning the dial, selecting an alien and pressing down: It lights up and has over 40+ alien phrases and sound effects. With the Deluxe Omnitrix has 100+ Alien Phrases and Sound Effects; a moving hourglass iris, alien phrase button; activation button, alien viewer and alien selector dial – with motion activated alien sounds. This is an easy quiz for the Ben10 fans – simply a picture of a character is held up and children shout out who it is. The child to answer correctly first gets a sticker. The winner is the child with the most stickers at the end of the game. To make sure they get the name right the answers are on the back! 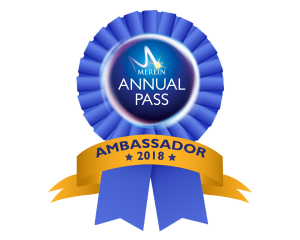 The party ends here but that doesn’t mean the children’s fun has to as they get to take home a goody bag. This includes Ben10 Spot the Difference, a Ben10 Poster, Ben10 sticker and an all-important bag of sweets! 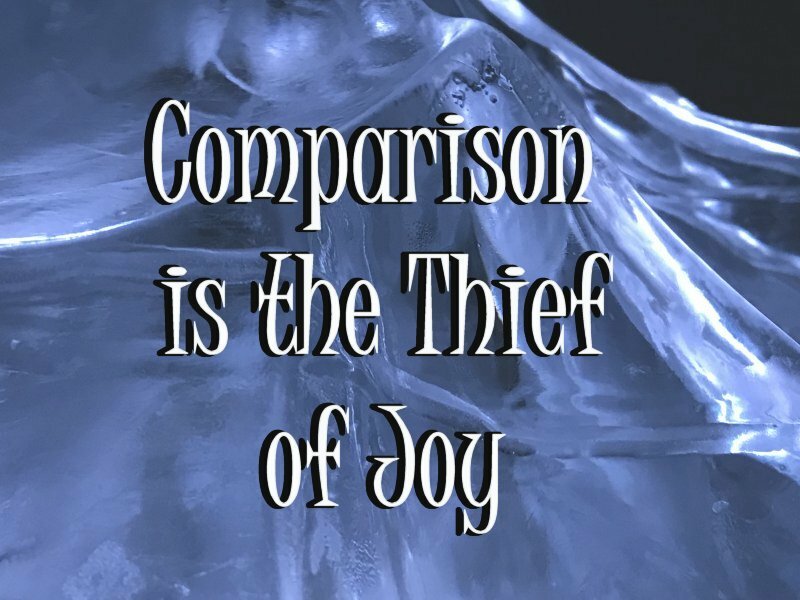 The bags are also meant to include one of the figures but I have decided to let each child select which one they want to take home, rather than allocate them randomly. Remember you can follow and join in on the party using #Ben10Toys and @UKMumsTV Thursday 31st August 2017 1-3pm – and win on the spot prizes!